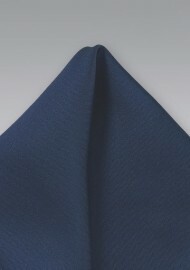 Amp up your style with some quintessential menswear essentials like this uber masculine dark navy pocket square. The limitless versatility and the debonair style of this pocket square will make you a pocket square connoisseur for life. 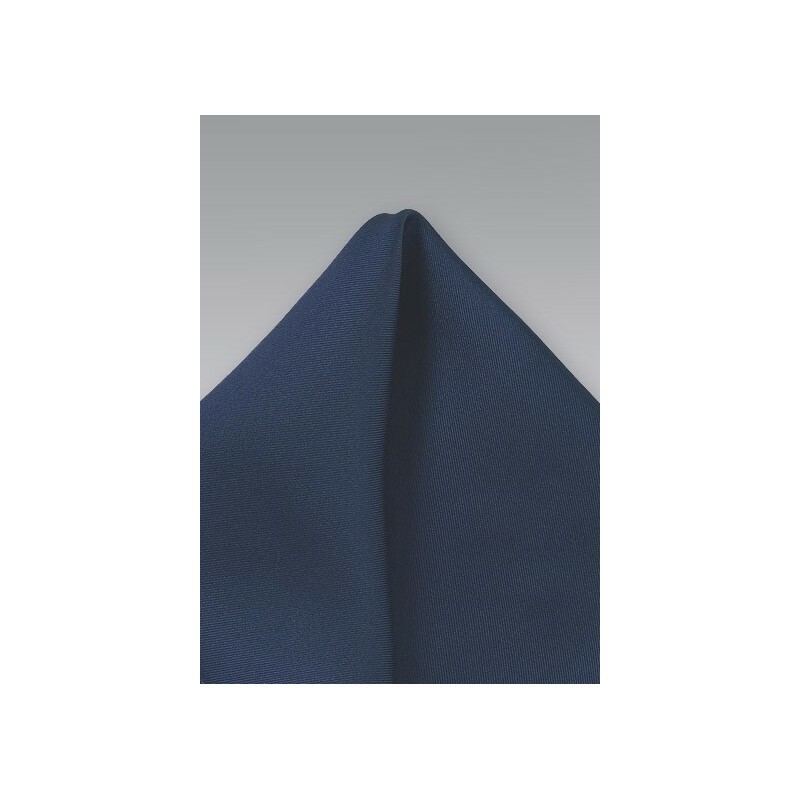 For a classically original look, we recommend pairing this navy blue pocket square with it's coordinating solid blue necktie, a white dress shirt and a black suit. The dark tones will create a gorgeous ensemble. Made from one hundred percent silk.